Antique compact desk in kauri pine. c1890. 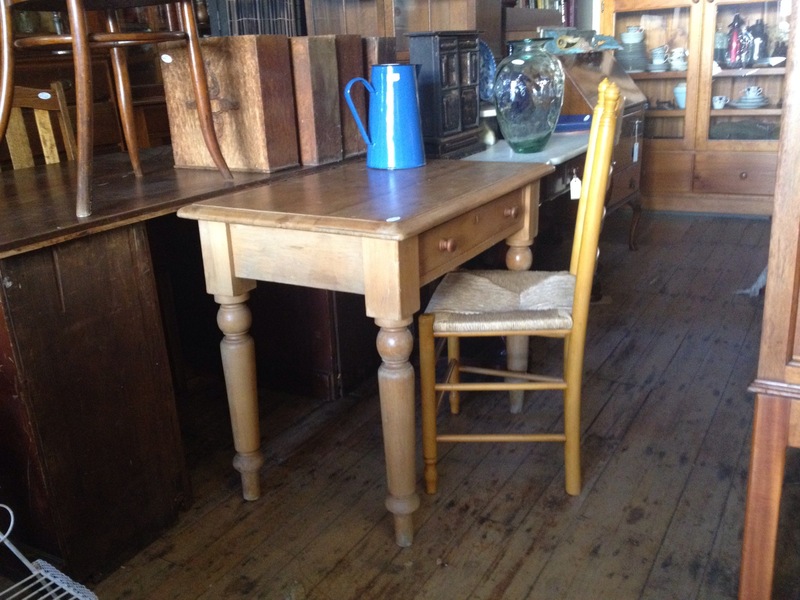 Possible food prep table with drawer $245, enamel jug 4 lt $21, and rush seated chair that is one of six $49 ea. 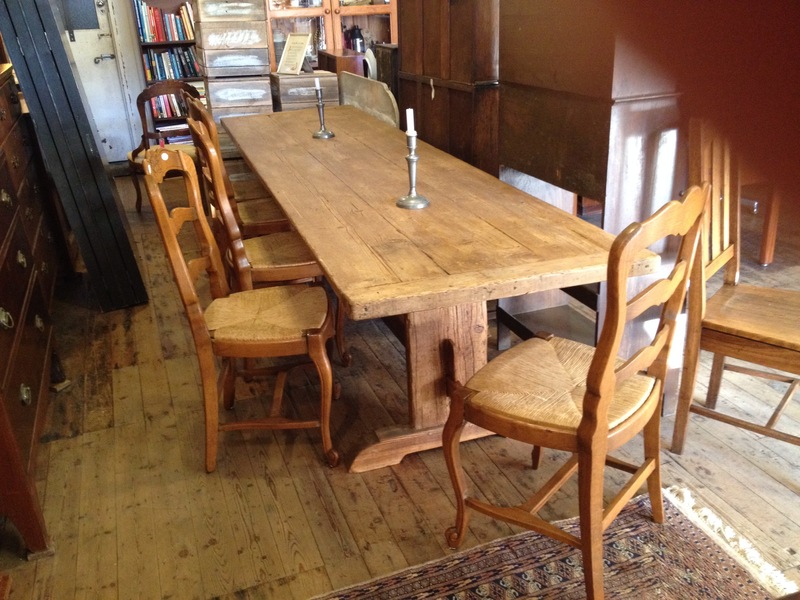 Six rush seated oak chairs made in France. 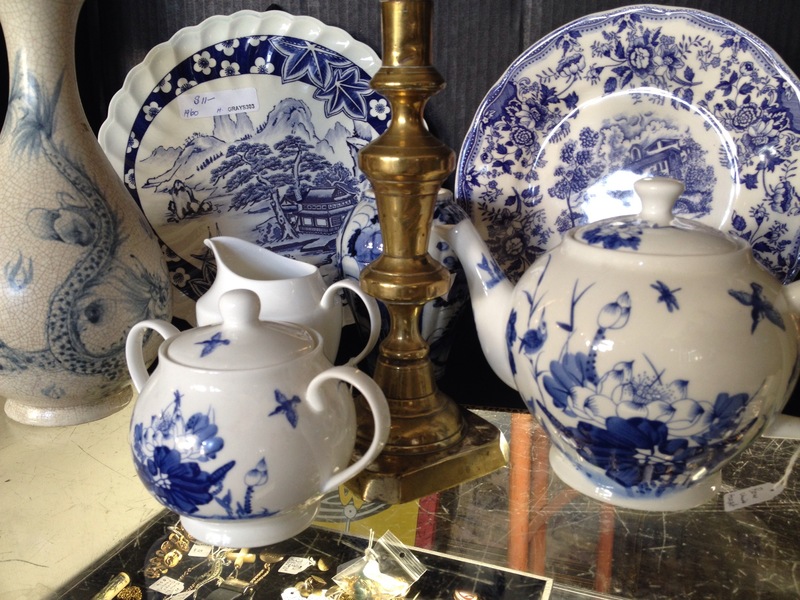 In the style of Louis XV, and probably 80 years old. $1195 for the six. 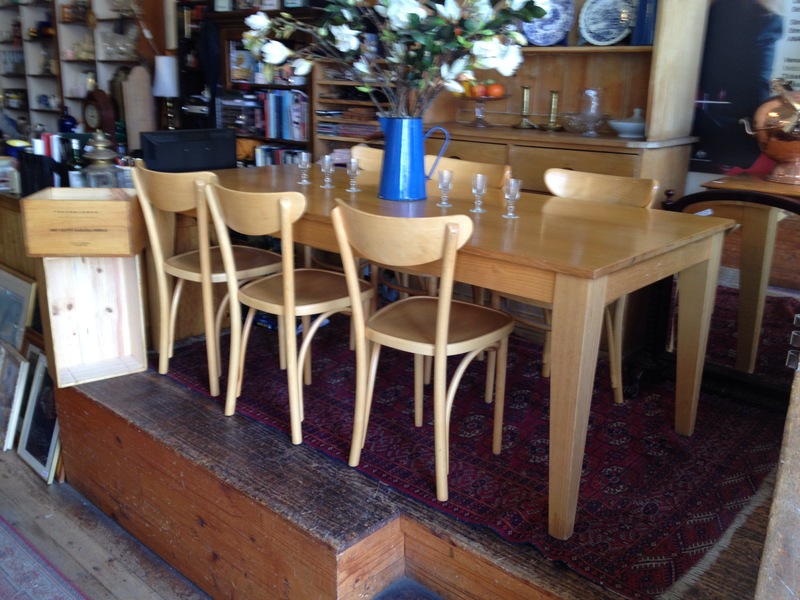 Three metres of fine French table. 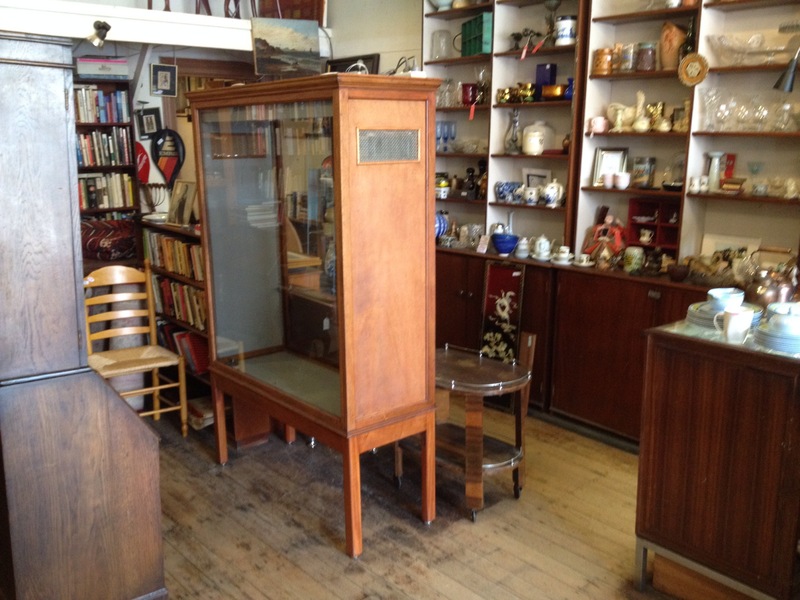 Just in, and just sold. So I shouldn’t really be including it. It’s just so interesting I couldn’t resist. Hopefully this is ok with the tables new owner. Every meal a potential banquet. 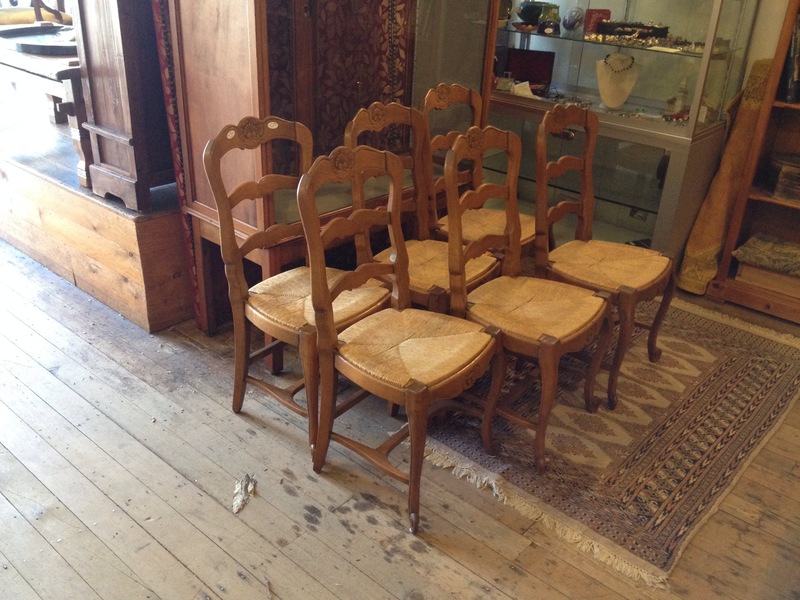 Thonet table for eight (200c x 90c) and six bentwood chairs of the same period. Probably designed in the 60’s and this example made in the 80’s. Good looking and practical. What a winning combination. $980 for seven pieces. 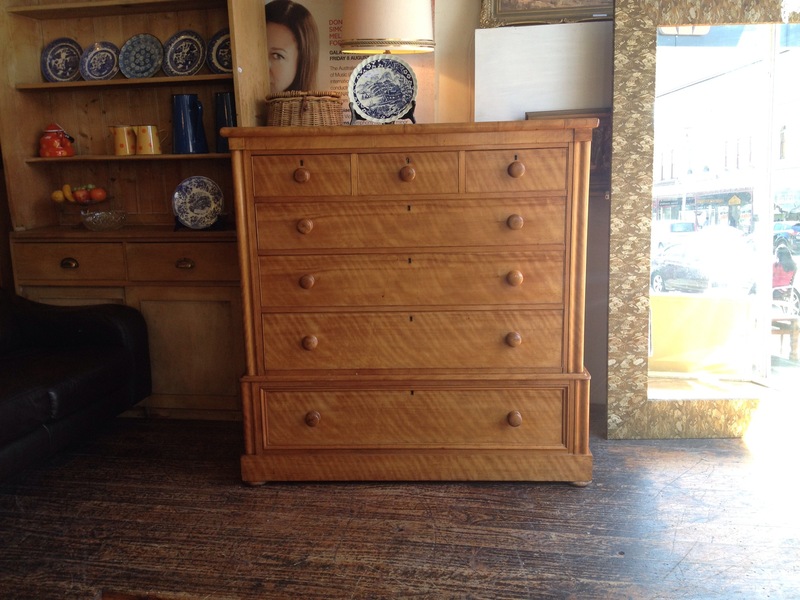 Large antique chest in two pieces. We believe the timber to be silky oak, however we could stand to be corrected on that score. Locks, handles dovetailed joints etc. indicate this was made around 110 years ago. This is a big one, don’t let it get away $1390. Mostly 20th Century. $3 to $45. Art and function. From it’s beginnings in China thousands if years ago, when this was the only colour available, right to the present day.